Finally — there’s a midcentury modern style mailbox on the market that will complement the exterior of your retro ranch. 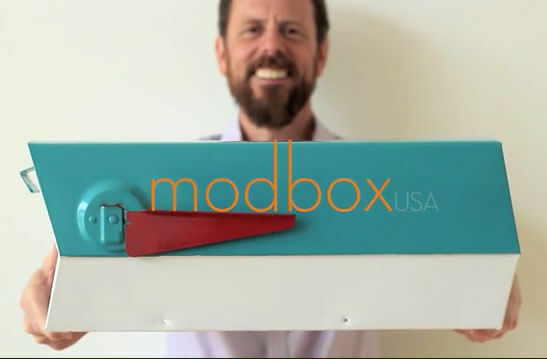 Greg Kelly, founder of modbox USA has already begun production on the first batch of mailboxes and is taking pre-orders, so expect to see them popping up soon in a suburb near you. 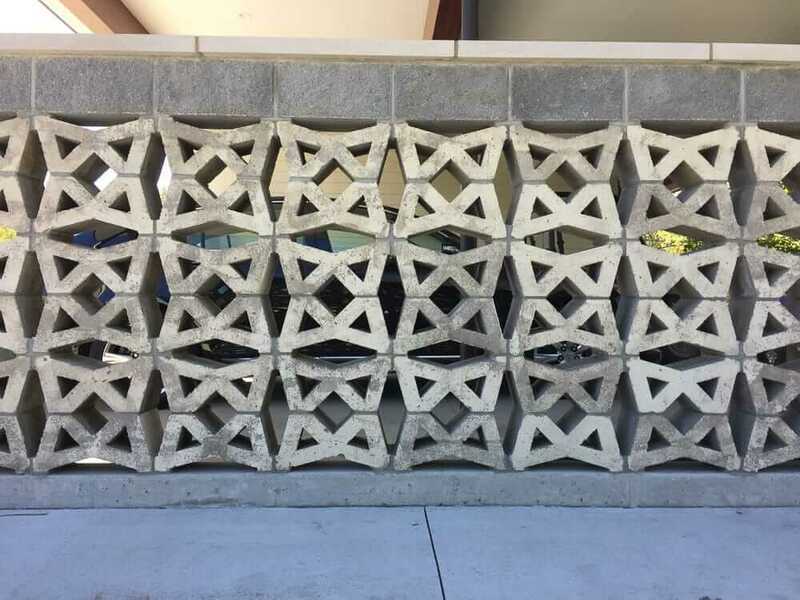 The devil is in the details — and after a long restoration project, finding those special finishing touches can be an exhausting task in itself. But imagine for a moment if that final finishing touch was nowhere to be found. Would you be compelled to do copious amounts of research, design work and even go as far as starting a company to make it available to other midcentury enthusiasts? 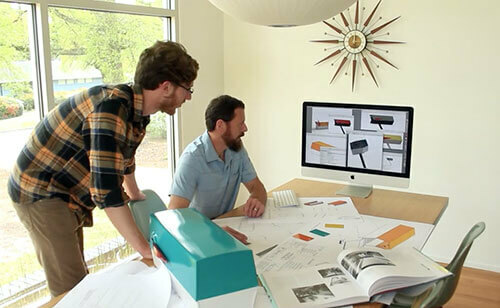 That’s exactly what Greg Kelly, founder of modbox USA set out to do with his midcentury mailbox design, which he based off of a 1961 design from the Sears Diamond Jubilee catalog. Back in June, Greg launched a successful Kickstarter campaign to raise the money he needed to begin production on his modbox design. Today, he is hard at work getting the first boxes fabricated and shipped out to Kickstarter backers and taking pre-orders for mailboxes and posts for non-Kickstarter backers through his website. My current plan is to continue selling direct to consumers via the modbox website. 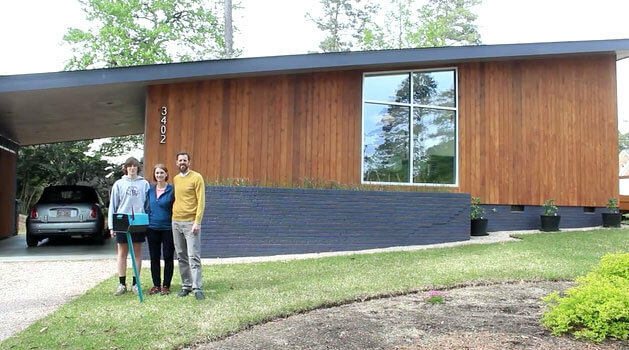 During and after the Kickstarter I had a number of Mid-Century Modern focused retail stores show interest in carrying the modbox (to include Bobby Berk Home). So, I will look into a dual sales distribution strategy: 1) direct to consumer, and 2) through MCM focused retail stores. Hip Haven seems to be having success with this. I kept an eye out for cool wall mounted designs while searching on Ebay over the past 9+ months. Nothing has stood out like the modbox, but I’ve collected some general ideas. 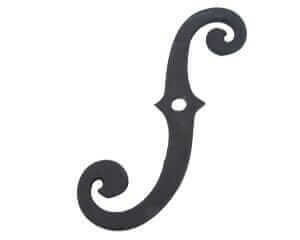 Early next year I would like to release a wall mounted design. I will likely incorporate the same or similar color options. A lot of folks have been asking for something! First and foremost, continue to make the modbox available to mid-century enthusiasts! 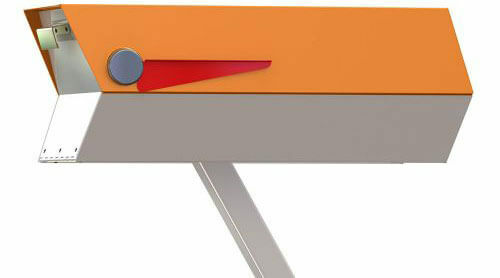 With each future fabrication run I would like to offer a special edition modbox with a new two-tone color combination. 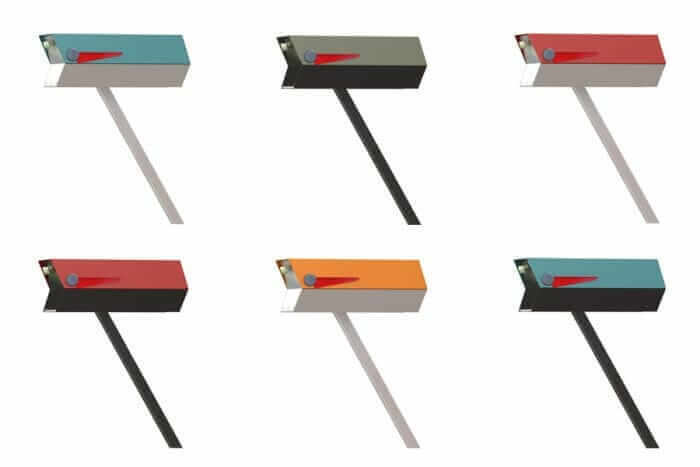 I am also considering introducing an ultra sleek anodized aluminum modbox (not powder coated), and expanding the product line to include a wall mounted mid-century mailbox. 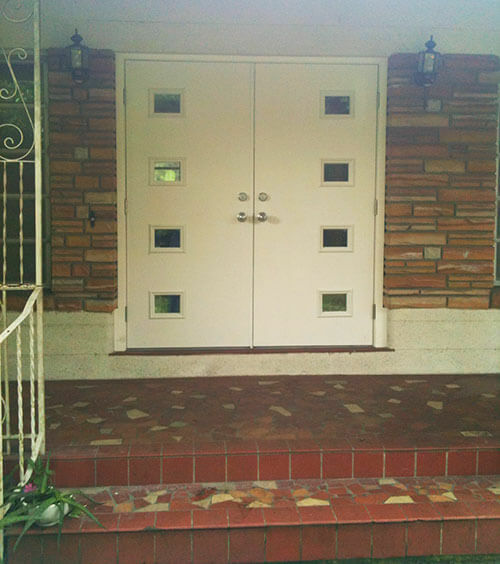 My neighborhood is full of midcentury homes from the 50s and 60s, some of which have mailboxes that are very similar to Greg’s modbox design out front. As a Kickstarter backer of modbox USA — I ordered the all black mailbox — I am super excited for mine to arrive later this summer. Once I have my box in hand (or out on the post) I’ll be sure to add an update here. Kudos to Greg for going above and beyond the call of duty and taking his quest for a midcentury mailbox one step further by making it available to all us retro-philes. No association with the shop — I purchased these number decals in teal a few months back to rescue my boring white mailbox and love them. Do you have an anadized aluminum/red mailbox? Rob, contact Modbox directly to find this out. Can’t wait for the wall mount units – please offer something big enough to hold magazines. 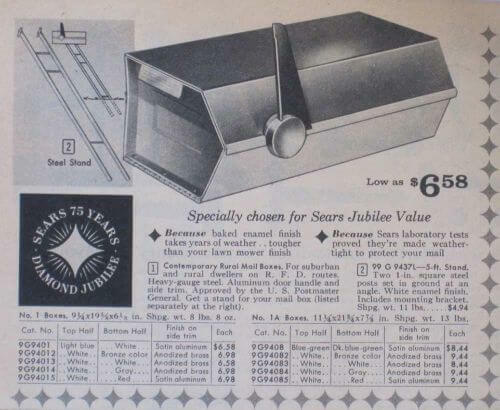 That seems to be a downfall of the originalmid century products that I have found. We got ours in May this year in pumpkin and white with the angled post. I never thought I could love a mailbox. It’s bigger than a standard mailbox but not as big as the large. The day after we installed it I was outside when the postman was delivering and he commented that we have a fancy mailbox! The ultimate in curb appeal.